I was taking a client through a 360º feedback assessment the other day and listening (or the lack thereof) was a major theme. He felt very strongly that he paid particular attention to listening to others and being open to their ideas, suggestions, and feedback, but the data in the assessment report showed differently. While he may have been trying to be more open to what others were saying, the feedback from his colleagues and direct reports showed that they did not feel that he really listened to them. Listening can be so difficult. Truly being open to others and their ideas, especially those ideas that are different from our own, can be challenging. Being willing to really hear opinions that are the opposite of what we already “know” is true can be next to impossible. What makes listening even more difficult, as happened to this client, is it doesn’t matter how much I think I’m listening to someone, if they don’t feel that I’ve truly heard them, then my efforts are pretty much wasted. So how can we be open to other ideas and opinions? How can we listen in a way that really works for the people around us – so that they feel (and appreciate) our openness and willingness to hear them? Michael Nichols, who wrote The Lost Art of Listening: How Learning to Listen Can Improve Relationships, said, “Genuine listening means suspending memory, desire and judgment – and, for a moment at least, existing for the other person.” It’s an attitude, and behaviors, that puts aside all of our belief in what we already know, and opens us to that which someone else is about to share with us. When we listen, we can learn so much. By suspending our beliefs and judgment we receive ideas, opinions, and approaches that would have otherwise literally gone in one ear and out the other. With that insight, we are more apt to stay open to ideas from everyone and everywhere, and to also stay more inspired. Ask for feedback on your listening – and hear what others share with you. 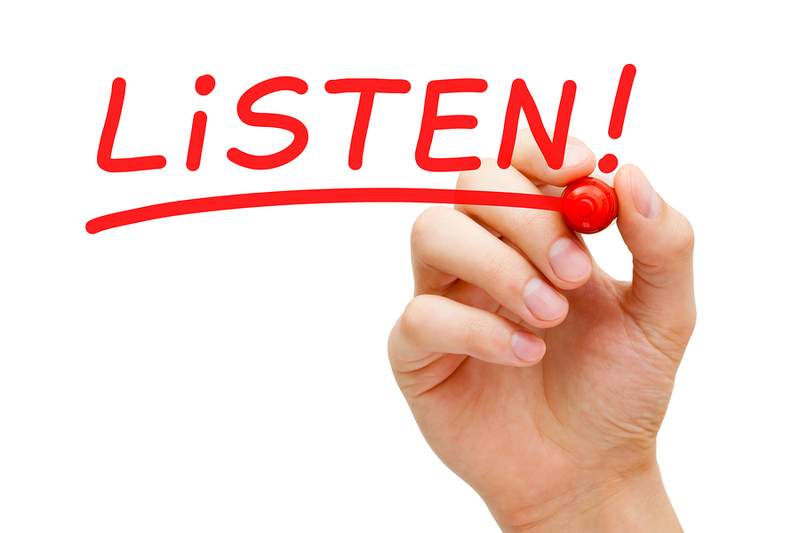 Then take the time and effort to truly listen more to what others are sharing with you – and note all that you learn. Where and how can you listen more? What ideas, insights, and approaches have you missed? How can you be more open to what others have to share? If you want support for listening more, contact Robyn at rmcleod@chatsworthconsulting.com.